Globular clusters are a popular object to watch in telescopes. But not only our own galaxy has globular clusters, also other galaxies do. M31, one of the nearest galaxies, enables us to view globular clusters in other galaxies. 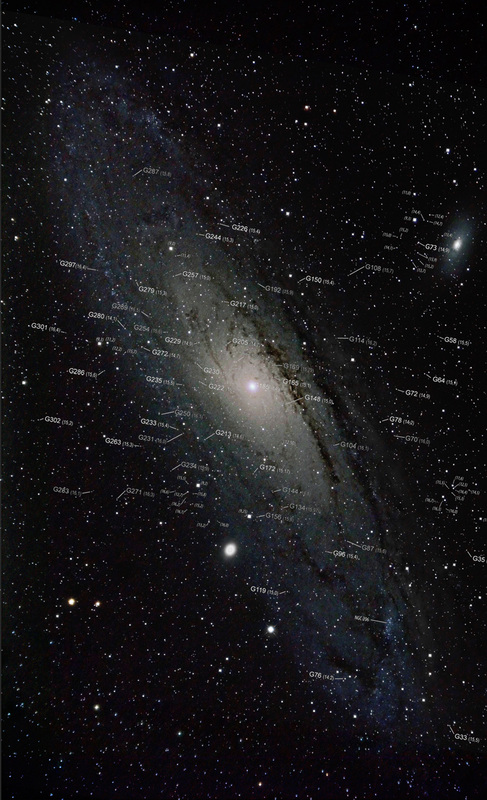 This map, overlaid on one of my own images, gives an overview of a large part of the known clusters in M31.